Pancakes are the easiest of the trifecta to make, in my opinion. You don’t need a specialty item to bake it (sorry waffles), and you don’t have to do any battering beforehand (French toast, don’t let anyone change you!). You just mix batter and pour it onto a hot skillet, basically. This recipe is very simple, and the pancakes are delicious. These are fluffy, slightly sweet, and wonderful. Did I mention they aren’t loaded full of calories? 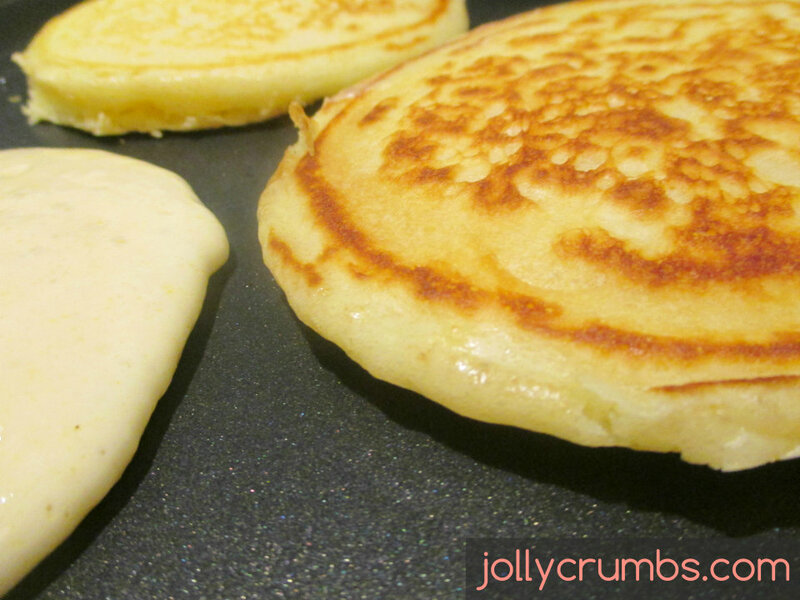 These are so easy to make, you won’t have to go out to a diner for pancakes ever again. The first step in this recipe is to make buttermilk by mixing white vinegar and milk together and letting it sit for 5 minutes. You can use buttermilk or you can make your own with vinegar and milk. Either way it will yield the same ingredient. I like making my own buttermilk because I don’t often use buttermilk in baking or cooking so I don’t like buying it for only one recipe. Combine the flour, Splenda, baking powder, baking soda, and salt in a large mixing bowl. Just stir or whisk it together a couple times. 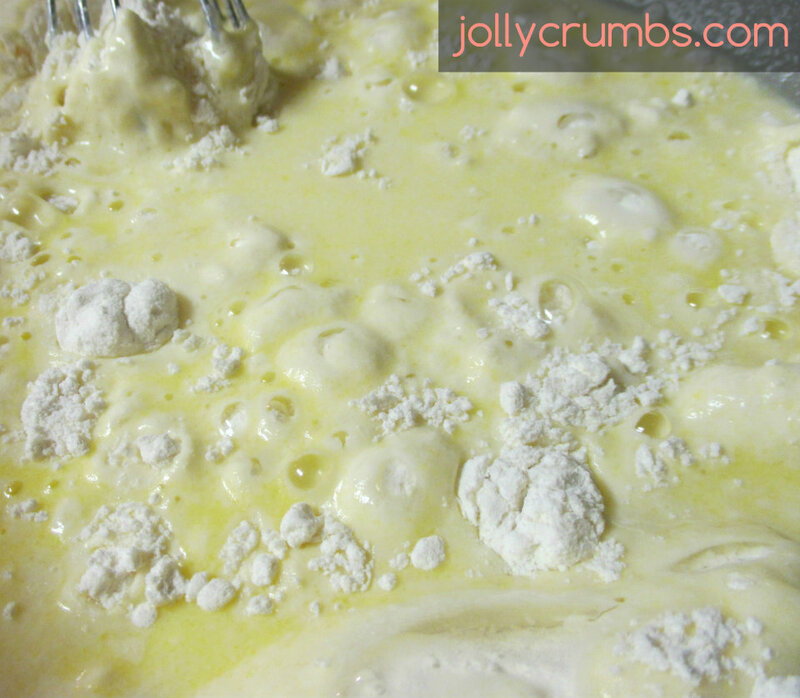 Whisk the egg, vanilla, and melted margarine into the milk mixture. Add the liquid ingredients into the dry ingredients. Whisk until all the lumps are gone. Heat a large skillet or griddle pan over medium heat. Coat with nonstick cooking spray. Pour about ¼ cup of batter onto the hot pan. Cook the pancakes until bubbles appear on the surface. Flip the pancake over with a spatula, and cook until golden brown on both sides. These pancakes are so delicious. I topped mine with lite syrup and no calorie butter spray, and Samuel topped his with sausage and an over-easy egg. So, you can make savory or sweet pancakes with this recipe. These are so easy to make. These fluff up to be very light and soft. Also, they are very filling. These are the perfect third point to the breakfast trifecta. And you know me; these are perfect for any breakfast, lunch, or dinner. Mix the milk and vinegar in a measuring cup or small bowl. Let sit for 5 minutes. Combine the flour, Splenda, baking powder, baking soda, and salt in a large mixing bowl. Whisk in the egg, vanilla, and melted margarine into the milk mixture. Add the liquid ingredients into the dry. Whisk until all lumps are gone. Heat a large skillet or griddle pan over medium heat. Coat with nonstick cooking spray. Pour about ¼ cup of batter onto the hot pan. 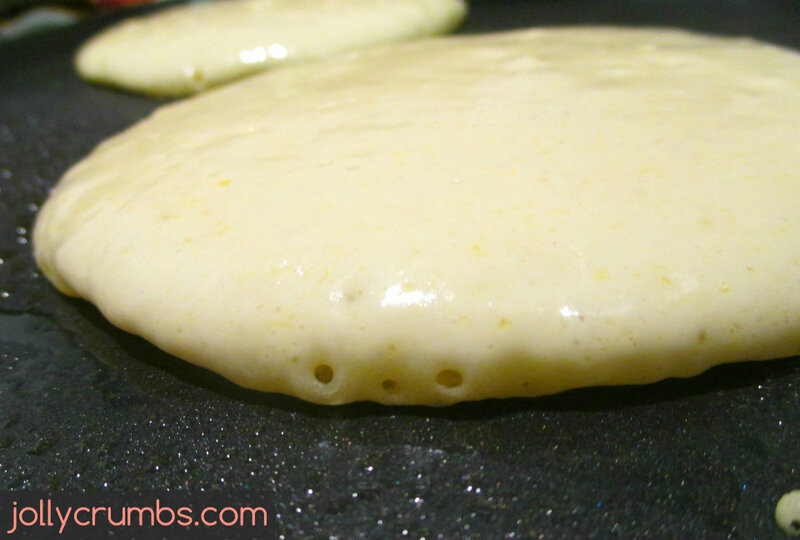 Cook the pancakes until bubbles appear on the surface. Flip the pancake over with a spatula, and cook until golden brown. 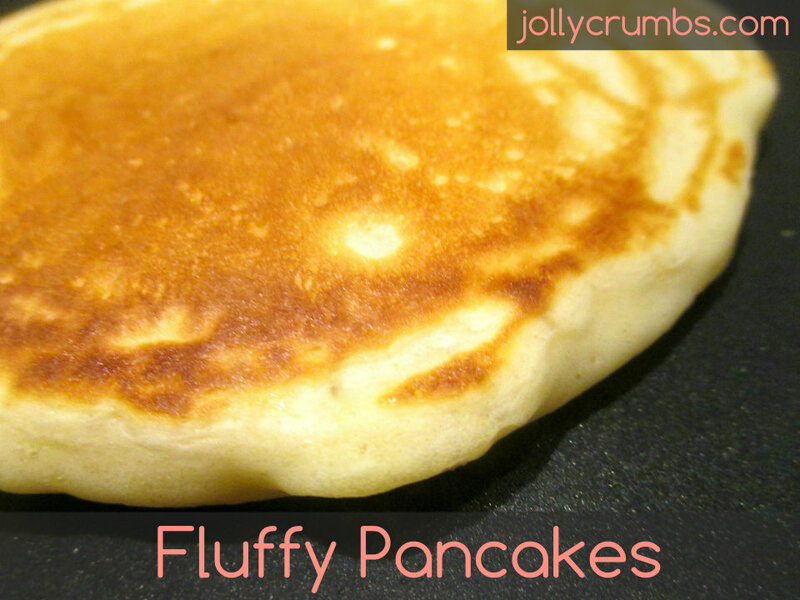 The vanilla added to this pancake recipe gives them a good flavor and they cook up so fluffy and light. My husband Isaac loved them. This will replace my old pancake recipe! Yay! So glad you and Isaac enjoyed these.